The cupcake recipe is taken from Nigella Lawson, however, instead of the royal icing topping which she uses, I prefer to top them with a cream-cheese and vanilla butter cream (make sense?). Preheat oven to 200C. 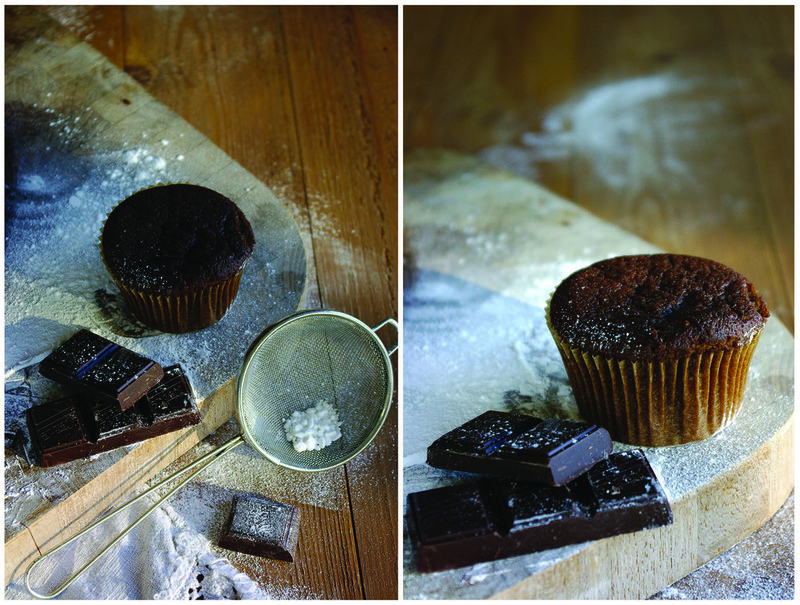 Line a 12-cup muffin pan with paper baking cups. In a large bowl, mix together the flour, baking powder and soda, the mixed spice and salt. In another bowl, cream the butter and sugar with an electric mixer. Add eggs, one at a time, mixing well after each one. Beat in one-third of the flour mixture followed by a tablespoon of the sour cream, repeating until it's all used up. Put water, chocolate, and instant coffee in a pan and heat gently, just until the chocolate is melted. Fold this into the batter, but don't overbeat. The mixture will be very thin which is normal, so not to worry. Pour batter into the muffin cases and put in oven for about 20 minutes. The cakes should be cooked through but still dense and damp. Let cool in pan for 5 minutes then lift out carefully onto a wire rack. Let cool completely. Add the icing sugar and mix until it's all smooth. Don't over-beat it as you don't want it to become runny. Put in the fridge to cool for around 30 minutes before transferring to a piping bag and decorating the cakes. To finish off, sprinkle with - err - sprinkles!